CLICK HERE TO VIEW PICTURES OF OUR FINISHED PROJECTS!! 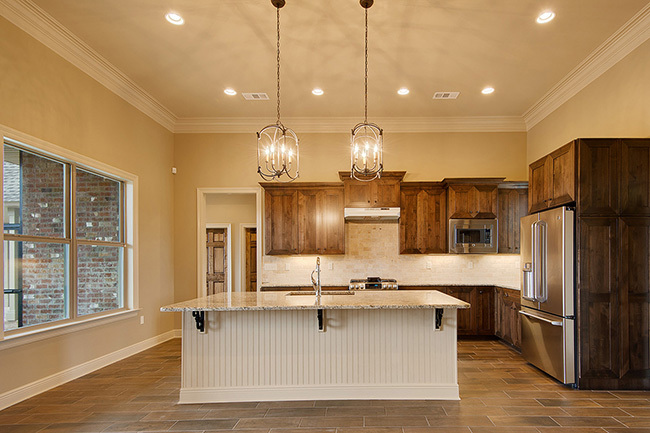 Ron Lee Homes, a new home and custom home builder in St. Tammany Parish is now offering renovations, remodeling, and additions as a new division of the company. Ron Lee Homes Remodeling will focus mainly on Kitchen and Additions. Also, Interior Decorating Services are offered either separate from or in conjunction with a completed remodeling project. The kitchen is the main area in which a family or house members congregate to prepare food and also socialize either on a day-to-day basis or because of a family gathering or social event. The kitchen has been called the “heart of the home” because of its central purpose and location. Many homes built in the Greater New Orleans area are 10 – 50 years old and therefore have outdated appliances, cabinetry, countertops, and fixtures. Ron Lee Homes Remodeling will help you every step of the way in deciding the best, most efficient, and cost effective way to enhance your kitchen’s appearance with a complete kitchen remodel. When initially buying or building your dream home, you may have chosen your home specifically for its location – on or near the water, located in historic Mandeville or Covington, situated on acreage, or your other family members live nearby. For these and many other reasons, you may not want to move from the area in which you live, but you are “outgrowing” your home and need more room. Ron Lee Homes Remodeling can help you add additional square footage to your home, whether you are “going out the back,” adding an entire second floor, putting in a mother-in-law suite, or adding an apartment over your garage, we can guide you through each step of the process to get you the space that you need.